The MSH-7507703 is a Power Amplifier that operates from 14 - 14.5 GHz. It provides a P1dB of 34.7 dBm with a gain of 34 dB and a noise figure of 8 dB. 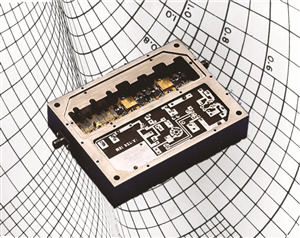 The amplifier requires a 12 V supply voltage and draws 3.3 Amps of current.